Since Judge O’Connor’s opinion was released and the subsequent stay was issued, the House approved a rules package that includes language allowing the chamber to defend the law in federal courts. 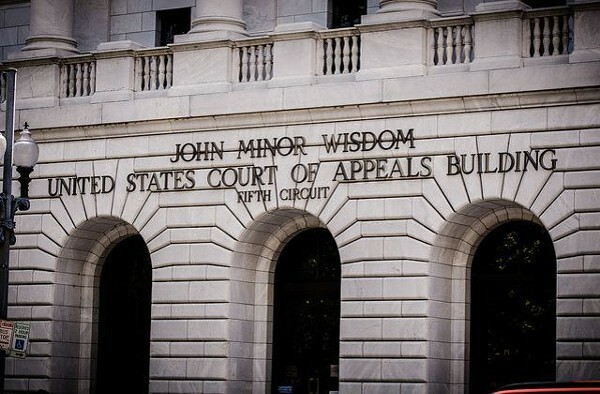 The U.S. Court of Appeals for the Fifth Circuit, which currently has the case on appeal, has granted the House’s request to join the case in defense of the law over the objection of the Trump administration. On Monday, the Trump administration’s Department of Justice wrote in support of Judge O’Connor’s opinion, marking the first time it has taken a formal position in the case. For those unfamiliar with the ACA, Section 1201 guaranteed the issuance of a health insurance policy to any individual who applies, regardless of that individual’s health status. This includes individuals with preexisting conditions. The section also included restrictions on community rating, prohibiting health insurers from using certain information about the individual, including health status and gender, to determine risk and premiums. Passed by Congress and signed into in December 2017, the Tax Cuts and Jobs Act, in Section 11081, eliminated the penalty for failing to comply with the individual mandate effective beginning tax year 2019. Now, the individual mandate remains in statute, in 26 U.S.C. 5000A, but it will have no penalty associated with noncompliance. One of the problems with the ACA is that it didn’t have a severability clause. Such language is inserted into the legislative text of a bill to protect against a future challenge in which a court may determine that a law is unworkable without some key feature that the court itself has struck down. Even the Obama administration recognized this problem. Although the Obama administration argued in a brief submitted in NFIB v. Sebelius, that the Supreme Court “need not consider the issue of severability,” an argument was made to limit the impact of finding that the individual mandate was unconstitutional that two specific Title I provisions, guaranteed issue and community rating, were inseverable. Of course, this argument was rendered moot when the Court upheld the mandate. Judge O’Connor also points to the Supreme Court’s decision in NFIB v. Sebelius. The Court recognized that the individual mandate was central to the ACA’s Title I regulations, specifically guaranteed issue and community rating. “The guaranteed-issue and community-rating reforms do not, however, address the issue of healthy individuals who choose not to purchase insurance to cover potential health care needs. In fact, the reforms sharply exacerbate that problem, by providing an incentive for individuals to delay purchasing health insurance until they become sick, relying on the promise of guaranteed and affordable coverage,” Chief Justice Roberts explained. “The reforms also threaten to impose massive new costs on insurers, who are required to accept unhealthy individuals but prohibited from charging them rates necessary to pay for their coverage. This will lead insurers to significantly increase premiums on everyone,” he added. The other eight justices on the Court agreed, in separate concurrences and dissents, that the individual mandate was essential to make these two provisions work. But Judge O’Connor takes it further by finding that the entire law is inseverable because the various provisions work together in a manner that is reliant on the individual mandate. This includes major provisions like the health insurance subsidies and Medicaid expansion, as well as minor provisions. When it comes to the Tax Cuts and Jobs Act, Judge O’Connor explains that Congress didn’t outright repeal the individual mandate, although it eliminated the penalty, or 42 U.S.C. 18091, which noted the importance of the individual mandate. The defendant, which is the State of California, argued that severability was intended by Congress by not repealing those statutes. Of course, the Tax Cuts and Jobs Act was passed in a way that would prohibit the repeal of statutes that didn’t have a direct spending or revenue impact. A finding, which is what 42 U.S.C. 18091 is, couldn’t have been repealed in the Tax Cuts and Jobs Act. Similarly, the individual mandate couldn’t have been repealed through this process. The revenue provision -- the actual part of the statute with the specified penalty -- could be changed, however. There’s some doubt among even ObamaCare opponents that Judge O’Connor’s decision will be upheld because it’s so broad. A more narrow order wouldn’t have completely eliminated ObamaCare, but it would have unraveled it to the point at which it would have been unworkable and caused major disruption in the individual market. The Fifth Circuit has Texas v. United States on appeal. We’re not sure when arguments will take place, but with the administration now actively involved and supporting the opinion issued by Judge O’Connor, we’re betting that whatever the decision is in the Fifth Circuit, there will be an appeal and the Supreme Court will eventually consider the case.